It’s January and that means it’s that magic time when I talk about Green Ronin’s plans for the coming year. We have quite a lot going on, so this year I’m going to be splitting this message into three parts that we’ll reveal Tuesday to Thursday this week. Today I’ll be talking about The Expanse, Nisaba Press, Freeport, and Blue Rose. 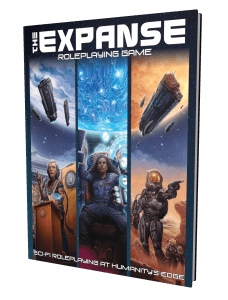 Last year we ran a hugely successful Kickstarter for a new roleplaying game based on The Expanse novels by James S.A. Corey. The core rulebook is in the final stages of layout so we’ll be releasing it soon. We will be opening up late pledges for the Kickstarter via Backerkit so if you missed the original campaign, you’ll have another chance. 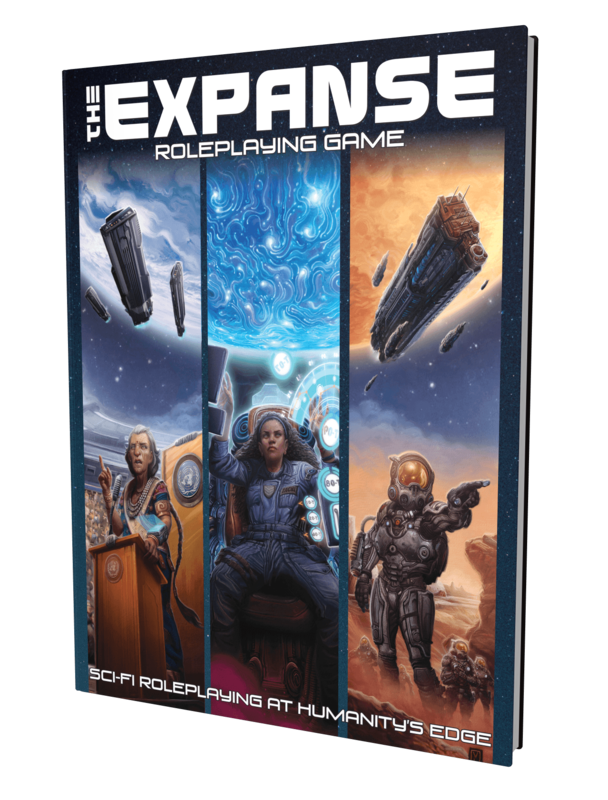 You’ll also find The Expanse in book and game stores, of course, and it’ll be available through our online store as well. Releasing concurrently with the core rulebook is the Game Master’s Kit, which has a screen, a new adventure, and reference cards. Later in the year we’ll be releasing Abzu’s Bounty, a six-part adventure for the game. After that initial suite of products, we’ll be expanding the game in different ways. The core rulebook is set between the events of the first and second novels. As the game line continues, we’ll be incorporating the events of the later novels in various sourcebooks and adventures. If you’d like to learn more about the game, lead designer Steve Kenson started a series of Ronin Round Table posts about it. You can read parts 1 and 2 now and more will follow starting next week. Last year we started Nisaba Press, an imprint for fiction publishing. We are doing both short and long-form fiction that ties into our various game worlds. We began with short stories last year. These were initially released individually but we’ve moved to an electronic magazine format. You’ll now find our short fiction in the Nisaba Journal, a bi-monthly magazine that supports our various game worlds. Issue #1 came out towards the end of last year and issue #2 is out this month. This year’s exciting development is full length novels! We’ve spent the past year building towards this and we’re beyond excited to debut our first novel this month. Shadowtide is a Blue Rose novel by our own Joseph Carriker and you can order it right now! We’ll be following that up with Height of the Storm, a Mutants & Masterminds novel by Aaron Rosenberg, and a collection of Lost Citadel short stories. More novels are in the works, so keep an eye on Nisaba Press. Last week we started the pre-order for Return to Freeport, a six-part scenario that is the biggest addition of adventure content for the setting in more than a decade. Since 2013 our Freeport releases have used the Pathfinder rules and Return to Freeport follows suit. 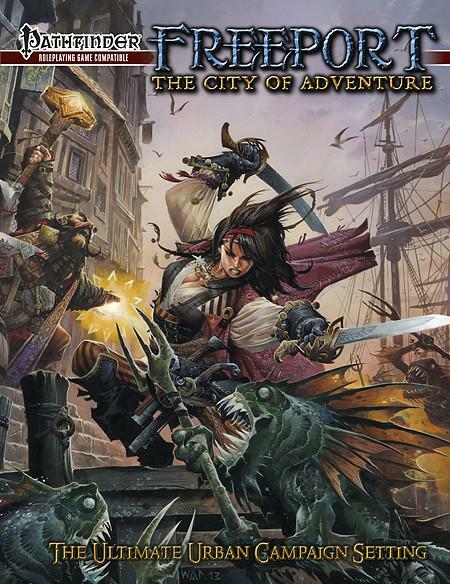 As you’ve likely heard, however, a second edition of Pathfinder is coming this summer and while we wish our pals at Paizo the best, we aren’t going to support the new edition. Does this mean the Freeport line is ending? Hardly! Freeport is our oldest setting, first seen in the Origins and ENnie Award-winning adventure Death in Freeport back in 2000. 2020 is thus both Green Ronin’s and Freeport’s 20th anniversary and you better believe we have some plans. So this year you will get Return to Freeport and short fiction from Nisaba Press. We’ve collected last year’s Freeport stories into a short anthology called Dark Currents, which is available now. More Freeport fiction will appear in Nisaba Journal throughout the year. Then next year we’ll be doing a big re-launch for Freeport with a different rules system. Stay tuned for more news about that! 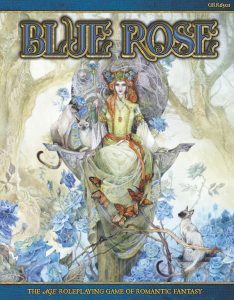 Last but by no means least, we’ve got Blue Rose, our romantic fantasy RPG. We’ve got two books planned for the game this year. The first, Envoys to the Mount, is something special: a full-length chronicle. This series of adventures will play out over five years of game time and see the characters advance through all four tiers of play. Then, late in the year, we’ve got Touching the Wild. This is a dual-purpose book. Half of it is a bestiary of various Shadowspawn to provide new challenges in your chronicle. The other half is a player’s guide for Rhydan with lots of new options for Rhydan PCs. If you like Blue Rose but have wanted more psychic animals, Touching the Wild is for you! That wraps up part 1 our 2019 plans. Come back tomorrow to learn about Mutants & Masterminds, Sentinels of Earth-Prime, and 5E. Chris Pramas is an award-winning game designer and writer, and the founder and president of Green Ronin Publishing. He is best known as the designer of the Fantasy AGE RPG, the Dragon Age RPG, and Warhammer Fantasy Roleplay, 2nd Edition. He has been a creative director at Wizards of the Coast and Flying Lab Software and a lead writer at Vigil Games. Most recently he worked with Wil Wheaton on the Titansgrave web series from Geek & Sundry. Green Ronin continues to thrive under his leadership, publishing roleplaying games like Blue Rose, Mutants & Masterminds, and A Song of Ice and Fire Roleplaying.